It’s almost a year since we announced a six-year £2.3 billion flood defence programme to provide better protection for more than 300,000 properties around the country. In that time, we’ve made great progress. The financial security that £370 million a year gives to flood defence means that we can be more ambitious than ever before and our programme of work now includes more than 1,500 schemes. Successful flood defences can go unnoticed but they play a vital role in protecting homes, businesses and farmland from damage. Every £1 we spend on reducing flood risk to communities saves £8 that would be spent repairing damages following flooding. As the programme develops, it’s great to see so many examples of schemes that are benefiting people up and down the country. 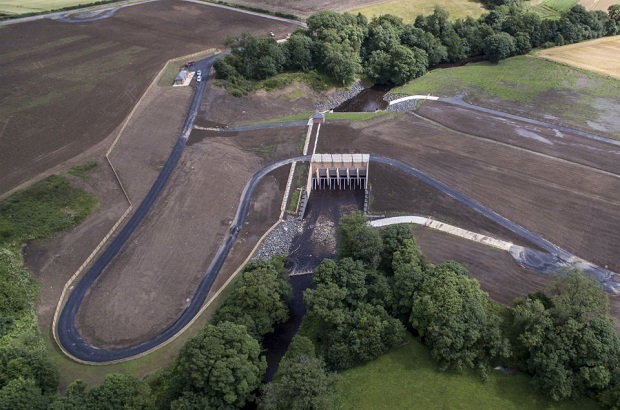 We recently celebrated the opening of the largest flood scheme in the North East – a £26 million project in the tourist town of Morpeth, which was devastated by flooding in 2008. The scheme has reduced risk to more than 1,000 homes and businesses in the town by creating an upstream reservoir, which stores millions of gallons of water when river levels are high – enough to fill 560 Olympic-sized swimming pools. The scheme has also created 17 hectares of new habitat for local wildlife, and 3,500 endangered white-clawed crayfish have been relocated upstream of the River Wansbeck. The project is a fantastic example of partnership working. It has been jointly delivered with Northumberland County Council, which provided £12 million in funding – one of the largest partnership contributions the Environment Agency has secured. This partnership approach with local authorities, businesses and communities is providing us with the funding to build more flood schemes. 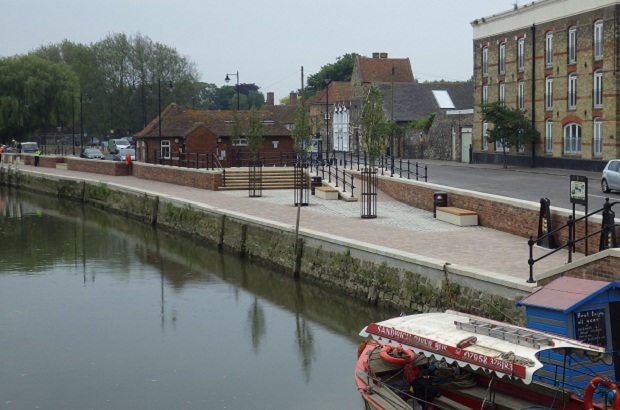 In Sandwich in Kent, we worked with Kent County Council and secured private funding to construct the single largest flood defence scheme in Kent for three decades. This £21.7 million scheme is the first of its kind as it was created out of a partnership with both public and private finance. It provides greater protection from tidal flooding to nearly 600 properties in Sandwich. In Grimsby, we’re working with North East Lincolnshire Council and Associate British Ports to complete a £19.3m scheme to replace and improve 2.5km of flood defences within the docks by September 2015. This will reduce the risk to more than 12,000 homes in Grimsby. Grimsby’s defence is also good for business. The docks area is being extensively redeveloped with new facilities for fish processing, car imports, and high technology industries supporting offshore wind farms. Although we’re proud of our achievements, we are also excited about the future. In Ipswich we’ve just started work on a tidal barrier that will better protect 1,600 homes and more than 400 businesses at risk of flooding. Work began this month but the main construction work for the barrier will start in the spring of 2016 and be complete by December 2017. We are also building a £23 million flood alleviation scheme to protect around 2,000 homes and businesses as well as a major high voltage electricity substation in Warrington. Warrington has one of the highest numbers of properties at significant risk of flooding in the country, and it’s vital that we take action to protect properties and key infrastructure where we can. It’s exciting to write about the new or regenerated schemes, but it’s also important to remember that we already have world class flood defences throughout the country – in the last four years our flood schemes have reduced flood risk to an extra 177,000 properties. We’ve also saved over £27 million since April 2014 by taking new and innovative approaches to constructing flood defences. We reinvested this - equivalent to building over 17km of flood wall – in flood schemes around the country.